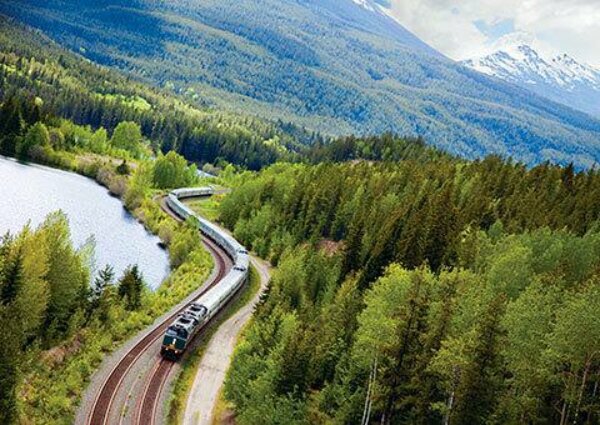 VIA Rail Canada is an intercity passenger rail service with over 12,500 kilometers of tracks circulating in 8 different provinces of Canada. Save 15% on your train ticket for you and up to three friends with your membership card. By simply visiting their website below and by applying the code 810945 to your purchase. Contact VIA Rail telephone ticket sales office 1.888.842.7245 from anywhere in Canada and the U.S.A. The discounts apply to both business and leisure train trips, and to the purchase of VIA's train tickets through any distribution system approved by VIA, excluding on-train sales and sales by tour operators. If you live in a country other than Canada or the United States, you may want to purchase your tickets through one of VIA's overseas sales agents. Consult VIA's list to find an agent in your country. To pick up your ticket or buy in person at the VIA station you will require your HI/YHA membership card and a piece of photo ID. NOTE : The discount code applies to all purchases of VIA train tickets, other than Escape fare and Prestige Sleeper Class, any promotional fare requiring a discount code, multi-trip pass products (such as, but not limited to, BizPak, VIA 6 Pak and Commuter ePass), and any other promotion, offer, discount or fare where the conditions specify that it cannot be combined with other discounts.